Do You Feel Comfortable Lending Out Your Games? Are you the type of gamer that can let one of your favorites go long enough for a friend to give it a go, or do you guard your collection jealously? Commenter Pinacollata has transformed himself into a virtual video game librarian, and for good reason. Read all about it in today's Speak Up on Kotaku. Does anyone else have serious apprehension about lending out games to people? Over the years I've had a great number of games outright stolen from me. I think it first happened in high school. 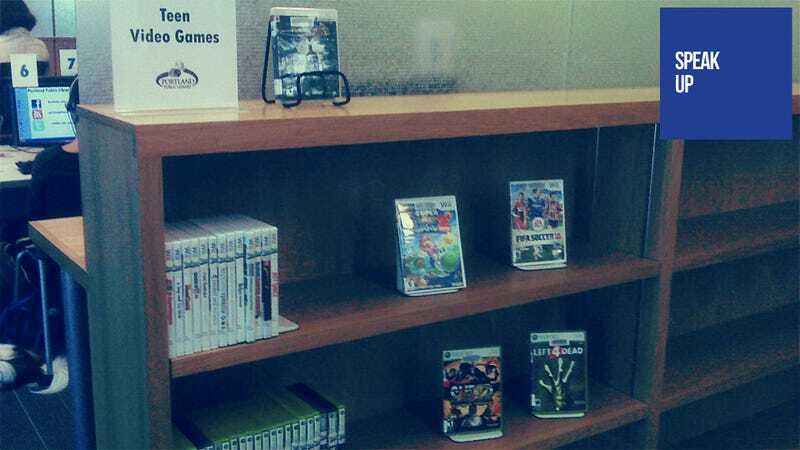 I let a kid borrow a few PSP games, he was one of those really pushy douche bag types. I was more or less bullied into it. He let me borrow one crappy game in return. A few months later I asked for them back, and he told me he sold them. I couldn't believe it, I was pissed. He promised to get them back, and even took back the game I let him borrow. He never did. The next experience happened with a kid who lived down the street from me, someone I actually thought was a friend this time. I let him borrow some DS games because he was really interested in playing them. Again, a few months roll by and I ask for them back. He calls me a liar and says that they're his games not mine. Now, in college, when someone wants to borrow a game, I make them sign something saying they'll bring it back. I feel a little crazy doing it, and my list is infamous in the dorm. Maybe it's just my personality, but when someone asks for something back like that, I go out of my way to get it to them. Other people just don't seem to care. I guess when I was younger I was more of a push-over then I am today. Now I look at it this way: if someone is going to steal from me like this, they're not really a friend of mine. I won't have any problem threatening them with what they've signed. I guess I just need to look into who I trust with my own property.